﻿"Do You Have This Valuable rare Northern Soul 45 Vinyl Record "I Won't Have Any Babies For You" ﻿by The Bitter & The Sweet? That Collectors are Paying Up to $825 on eBay, in attics searching for and on the internet Googling for!" The Bitter and The Sweet is an R&B singing group hailing from Detroit with a 1973 R&B recording title, "I Won’t Have Any Babies for You", flip side, "POW", that is a very valuable and rare vinyl 45 collectable record . Collectors have paid up to $845.00 for it on eBay. When first released in ’73, radio stations would not gave it any, or very little airplay, saying it was too controversial. It had sexual undertones that pushed the limits of what was deemed acceptable at the time. But in June 1974, Paul Anka recorded "(You're) Having My Baby", It got airplay and did gained criticism for its sexual chauvinistic undertones from feminist groups. but it quickly climbed the charts and became Anka's first No. 1 song since 1959. At about the same time "(You're) Having My Baby" was climbing the Billboard Hot 100, a female country vocalist named Sunday Scharp recorded a cover version called "I'm Having Your Baby." With lyrics altered to the female perspective but otherwise identical to Anka's version, "I'm Having Your Baby" peaked at No. 11 on the Billboard Hot Country Songs charts in October 1974. All of this just one year after the released of "I Won't Have Any Babies for You". The song is considered by many in Europe's Northern Soul Culture as the song that pushed the limits of what was deemed acceptable at the time and helped usher in a genre of socially conscientious music in the '70s and beyond. With a powerful messages, ( that's just as relevant today ), and a danceable musical track that satisfied the Mod Northern Soul Culture's appetite it wasn't getting from commercial radio. When the tune found its way to Northern England and into the Northern Soul Mod culture dance halls it began to get a fanatical following. Prior to that, In the late sixties the commercial radio stations could no longer satisfy the tastes of the Northern Soul Fans who began to demand even more esoteric forms of music. DJ's needing to satisfy this craving began to plunder America for increasingly obscure records. The notoriety of DJs on the northern soul scene was enhanced by the possession of rare records, but exclusivity was not enough on its own. The records had to conform to a certain musical style and gain acceptance on the dance floor. The Bitter and The Sweet tune "I Won't Have any Babies for You" did just that and became a dance floor favorite with its uptempo Rock, Soul, Latin, beat and sometimes Psychedelic licks thanks to Melvin"Wah Wah Watson, (The Temptations 'Papa Was A Rollin' Stone). Anywhere with a large wooden dance floor was pre-requisite for The Northern Soul style of dancing. In large venues such as dilapidated Victorian Dance Halls, youth clubs, working men's clubs, and seaside piers. Anywhere with a large wooden dance floor was pre-requisite for The Northern Soul style of dancing. In large venues such as dilapidated Victorian Dance Halls, youth clubs, working men's clubs, and seaside piers. England's Blues and Soul journalist Dave Godin noticed that Northern football fans when visiting his record shop in the capital were buying a completely different style of record than his Southern Customers. 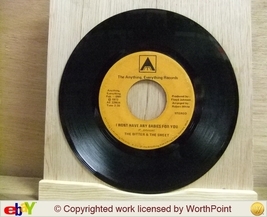 To help this clientele find what they were looking for he started to put their type of records into separate boxes which he labelled 'Northern Soul'. It was thus that the term was first coined. Dave visited the Twisted Wheel and Blackpool Mecca Dance Halls in Manchester to experience the scene for himself where the enormous size and electrifying atmosphere of the events, the devotion of its followers, was very different to what he had experienced in the South. It was in his next column of Blues and Soul that he described his experience and it was from that article that the term was publisized and stuck. The Northern Soul is now a misnomer because clubs not only appear throughout the whole of England but also Europe, Japan and Australia as well. The 'Northern' soul scene has developed into the much more appropriately named 'Northern Rare Soul Scene'." The Bitter and The Sweet hails from Detroit’s North End Northern High School, and Detroit’s Mumford High. It features Adrienne Bolden Jordan, Katherine Hamilton, Victor Williams, Kenny Jackson & Baraka LeRoi Coleman Jordan. The lyrics is written by Floyd Johnson , melody by The Bitter & The Sweet, produced by Floyd Johnson, and musically arranged by Motown Record’s Funk Brother lead Guitarist Robert White. Robert White is the creator and performer of one of the most recognizable opening guitar licks in Soul, R&B, and Rock music. The opening guitar intro riff on The Temptation’s song "My Girl'' that flows and threads its way throughout the song. Legendary James Jamerson the Greatest Bass player of all times on Bass Guitar. The O'Jays, Jerry Butler, Major Lance and more . . . .
﻿It's streamed and promoted daily on Jango Internet Radio Airplay alongside similar popular R&B artists like Beyonce, Chris Brown, Rhianna and JayZ. “The Bitter and The Sweet" sincerely appreciate the thousands of fans world wide who's streamed, purchased, downloaded or Liked their music and shared their email addresses and Facebook pages. Anyone with any rare pictures or movies of the The Bitter and The Sweet can contact them via the contact page. 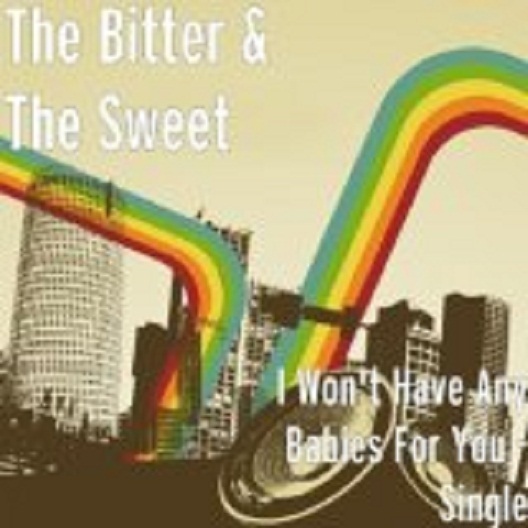 Single, "I Wont Have Any Babies For You," by The Bitter & The Sweet.